I couldn't think of an end for what basically should probably be a single frame comic. So I just blew them up. I thought it was funny. Anyone who puts that much effort into fashion for a party cant be THAT bad. Look, they even brought a Keg! Say what you want but those Kraut beats were way ahead of their time. 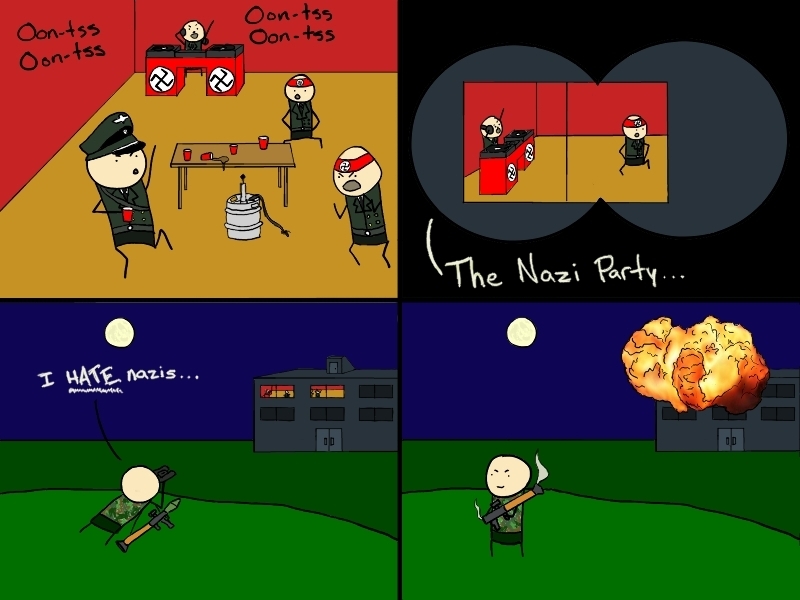 Oh yeah, awesome NAZI parties. Those were great school days. i love your comics shaggers. Well thank you Mitchell, yours ain't half bad, either. I never say ain't. That sounded weird.